The project to feed 5000 people through a series of bigger and better trades, starting with just 2 stinky fish. 2StinkyFish Have a New Home! Thanks to the help of Squarespace, the project now has a new home! Please change your bookmarks to point to www.2stinkyfish.org and we'll see you over there! Have a great week! 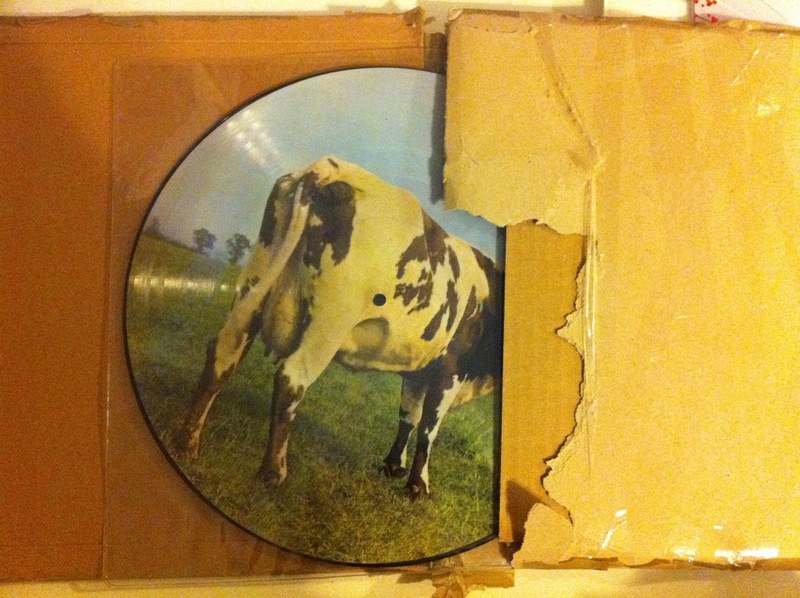 Then the guy found the other record available for $50 online, too. Oops! Looks like I gotta start pimpin' it out a little more to my networks. Pass around the site to your friends that like MGMT and we'll see if we can't get our baby traded! 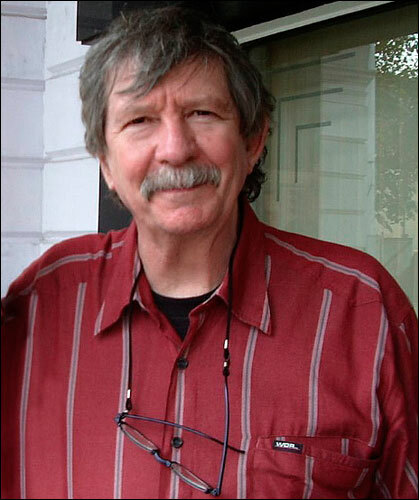 Lion Davidson (don't look at me--he tells me it's for real!) has offered me a couple supposedly ultra-rare Pink Floyd records, including this Atom Heart Mother picture disc. Seems pretty cool to me, but I'll see what the Amoeba Records dudes have to say about it. In any case, cool offer! Thank you to all of you who are suggesting ideas for The Final Feast! It's a crucial part of my project, since it will help communicate the project's final goal to everyone to whom we spread the word! Go Big. Do it in a stadium parking lot (probably more obtainable than stadium). Free for those who arrive on foot, bike, or by public trans. Rugs/blankets for picnic style eating. Event provides the food. Music donated. Arrange tables in a creative fashion so that when photographed from above will make fabulous photos. Fixed Hot air balloon rides allow for these photos? Love the ideas! If you have another, feel free to leave it in the comments or fill out the Final Feast form! Today we were playing around at lunch, waiting for our food to arrive, so I put ball-point to paper and tried to figure out a logo that might work for both 2StinkyFish and my new trading project, 52Trades, since 2S sorta looks like 52. This is what I came up with. Nothing to make my old design professors sneeze, but who needs more sneezers? This hot off the presses! Texas Girl Offers Soul for MGMT-Signed-to-Become-Awesomeness Guitar! Now I'm not sure if this is a real offer, but so far that's the best offer I've gotten. I'll have to follow up and see if this MGMT-crazed teen has something a little less ethereal and a little more trade-able, but I like the enthusiasm! Let's keep 'em coming, people! First trade offer received! 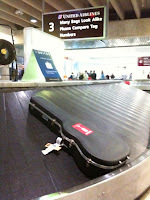 Our beloved guitar is worth one week's stay in a San Francisco apartment. 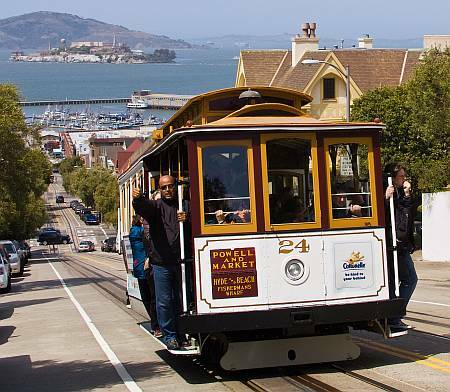 Airfare and meals are not included, but one week within a stone's throw of Fisherman's Wharf, Cable Car rides, Golden Gate bridges, Ghirardelli Square chocolates, and countless other Bay Area attractions would await whomever would trade for that. Not too bad a start for our little ol' awesome coolest-ever guitar. The bar has been set! Do I hear more offers?? All in all a great experience. If you visited today and want some shameless promotion, comment away--you'll be read by a whole lot of like 20 people!! woo hoo! 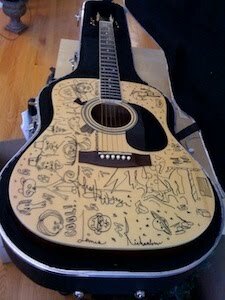 So apparently in between David Letterman appearances and Saturday Night Live gigs, Ben Goldwasser and Andrew VanWyngarden and crew were bored and decided to not only autograph our plucky guitar, but go crazy nuts with it and draw all over it with a permanent marker! heaheaha :P It's amazing and beautiful and too cool for school. Click on the picture to see it larger and submit a trade offer to keep the project rolling along! Well, I didn't get my ticket in the mail, but Karishma did, and she agreed to hand out a host of flyers to get the word out about MGMT. 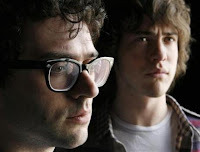 They played The Fillmore in SF tonight, and despite my sad planning, I'm crazy excited to be at least close to them. Next weekend they'll be on Saturday Night Live, after a spell at the Coachella Valley Music and Arts Festival. It's fun to be stinkin' it up right when they're blowin' up! Love it. 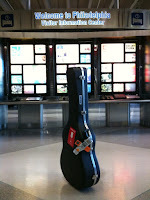 Our wonderful friend Sue is hoping to give our beloved guitar to her sister this weekend, to take up to NYC. 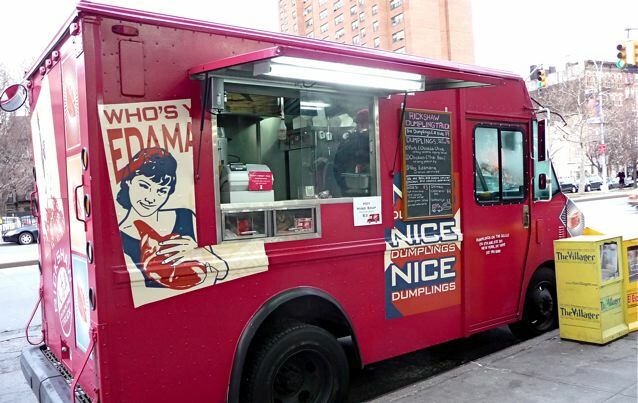 Can someone in NYC get it to its final destination at Broadway and 26th? Let me know! Thanks! 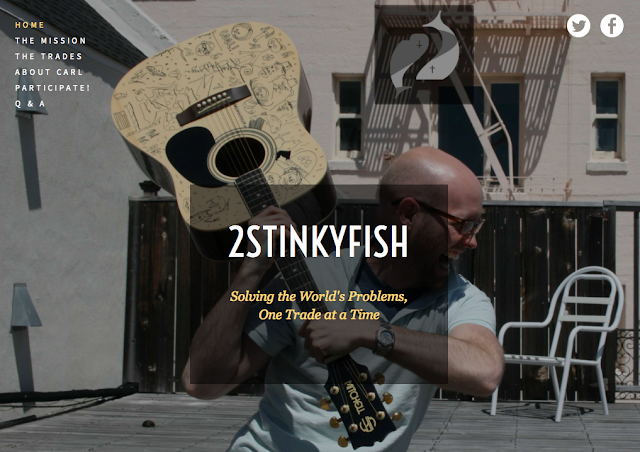 Thanks to my boss for agreeing to check our beloved 2StinkyFish guitar on to his flight to Philadelphia! Here he is loading it into his car! Hope those fish can swim at 35,000 feet! 2StinkyFish swim again! Killer rockin' best-ever killer band MGMT has agreed to freakin' sign our guitar!!! I have an address and everything! 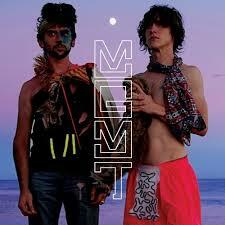 I'm hoping to see them in 35 days at Coachella, so that means I need to get them the guitar in NYC quick-like! Help help heeeelp me out! 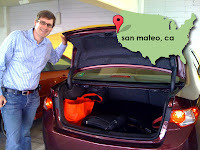 If you know anyone traveling to the East Coast from the Bay Area, please let me know! They can help the project out by checking on our beloved guitar to their flight, and passing it on to someone else to pass it to someone else to get it to its final destination in Manhattan. 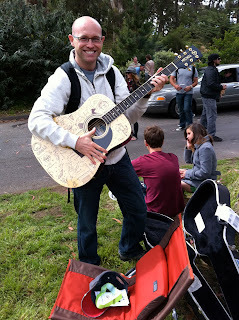 Then the guitar gets signed by the band, who (maybe?) bring it to Coachella and yell my name out at the festival and let me muscle through the crowd, who lift me up and pass me up to the stage, where I hug the band members and raise the autographed guitar above my head in triumph before being pulled back down to the mess below. So, ask your friends and family! 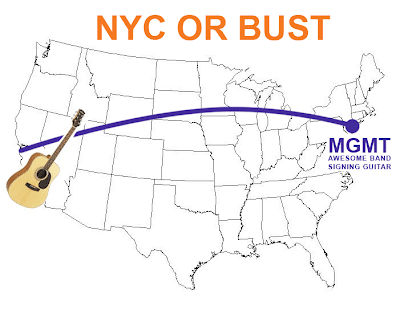 Who is flying soon to NYC or the East Coast? Email me at carl DOT winter AT yahoo DOT com! Our 2StinkyFish thank you!! It's official! The killer snowboard boots have been passed on to Aaron Merlo from Denver, Colorado, for his killer Mitchell acoustic guitar. Check the video out below. Next step, finding a killer musician to sign the guitar and raise its trade value, babyyyy! Final Week For Trade Offers! Let the countdown begin! Unless a bigger and better offer is made in the next 7 days for the amazing snowboard boots, they shall be traded to Mr. Aaron for his kickin' guitar. So tell your friends or your dog--speak now or forever hold your peace! Not to be outdone, Monseigneur Aaron offers a Mitchell model MD-100S acoustic guitar for our beloved boots. I think one of these two offers is going to get the boots. It sounds like it's poll time, baby! Get out your email-in ballots! Holy smokes crowd lovin' it! Ashton from Denver is a certified massage therapist and has calmly offered in Enya-like fashion 4 hour-long massages for our killer boots. Nice offer, Ashton! Remember when we couldn't get our 2 Stinky Fish's wine bottle across state lines? Well, Adam graciously volunteered to help us out. Along the way to their ski trip, though, they were involved in a pretty nasty crash. Thank God all were safe, but the car was in a bad way. 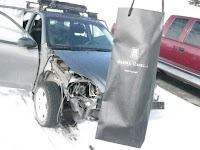 After a night of uncertainty and daze, the boys realized that they had left our bottle of Alpha|Omega wine in the car. (oops!) 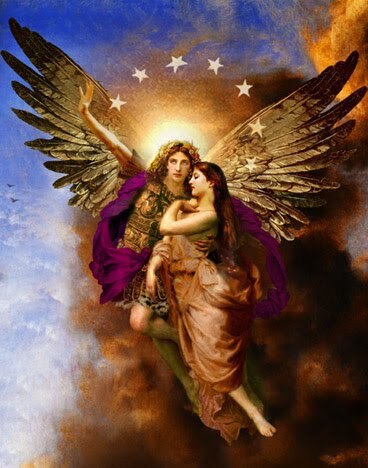 Legend has it they were distraught and bitter, blaming each other using salty language and much pointing of fingers, but through therapy and deep prayer they resolved to simply check the back seat for the bottle of wine. Sure enough it was okay! Though it didn't make it all the way to Denver on this trip, Adam did manage to take it on a subsequent flight to Denver to pass it on and keep the ball rolling. Howdy! If you want to follow my blog and keep it at the ready for easy reading, just click the link at the right to follow this blog! Thanks! 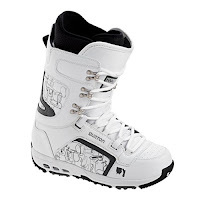 That's right, we've moved from boots to snowboards! What do you think? Worth the trade? The offers are getting better and better, people! Speak up! Interesting! An offer from a LEED-accredited designer to work at your bidding for 5 hours... What do you guys think? Does anyone have any need for some design work, or know anyone who wants to add a kitchen or garage or layout a workspace? Another offer! Dakota has offered a modded 2-year-old good-condition PSP with games and movies a 1GB memory card. Well, apparently you can't ship wine across state lines. I wanted to get Matt the wine for his promised boots, but I can't just put it in the mail without risking something called a felony. No thanks! So, we've gotten creative. My friend Adam is planning to take it on his ski trip to Wyoming, where he shall find some other kind soul to take it a little closer to Vail, and so on, a la 6 degrees of separation. So, let the trek begin! Hope it gets there safe! I guess this means we've arrived? I mean, hate mail is big, no? [It's]really good single vineyard wine that I have gotten from when I worked at a winery. It is a rose that was made from a pinot noir. It is a rose but very dark and flavorful, probably closer to a pinot than most rose. The grapes are from the santa lucia highlands, from a pretty prestigious vineyard. It is great at room temp, or chilled in the summer. Sounds interesting, Gabe--tell me more, tell me more! Interesting! Marcin, the person who traded Kyle of One Red Paper Clip a beer keg and a neon sign for his generator has made a trade offer for the boots. The offer is an electric pocket bike, a pink girls bicycle, and something called evil Ride boots (worn twice). What do people think about all of these offerssss? I would like something I could easily ship, and all but the DVDs are pretty heavy! 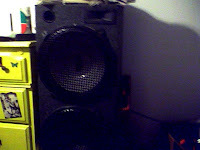 Trade offer number two has been proposed--this time two 15-inch subwoofers in a box with a 800 watt amplifier. Not sure if I can trade them for something bitchin' but maybe so! Anyone have any opinions? Bueller? "I’m looking to trade massage instructional DVDs. I have 7 new DVDs and 3 CDs to trade. "I run the company with the number 1, 2 and 3 best selling massage DVDs in the world! Here are our products which would come to a total of $204.64 retail value. You can verify this by checking out www.MyMassageVideo.com"
A for Aeffort, baby! I could use a massage. Let's hear some more for the boy! Sound off! Here is an interesting story of an international dude inviting anyone and everyone to a Sunday feast at his place in Paris each week, accepting the first 50-100 people who call. Hopefully my 5000 fed will have some sort of unique story like this, too. Here is the story from NPR and the audio link. Enjoy! So, this is in Portuguese, but the gist of it is that this journalist snips a button off a kid's shirt (poor little guy) and trades up to an mp3 player with Daniela Cicarelli, Ronaldo's ex-girlfriend, all to help this school. Good stuff! 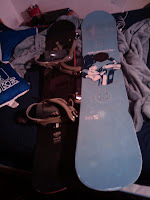 Hail hail, the Honorable 2 Stinky Fish hath shed their fins, walked on land, and now shall snowboard on the slopes! Thanks to a generous offer from Matt Anderson and the wonderful people at Burton boots (thanks especially to Jessica and the people at the Damiano Inc. showroom in Denver), our 2 Stinky Fish continue their quest to feed 5,000 people, albeit in fur-lined parkas! The details: Just tell us what size you need, in what color (Black, White, or Brown), and we'll ship out brand new snowboard boots to you! What to do: Post a comment with your offer for the boots! We already have some good ones, but all will be graciously pondered from our fishy pond. 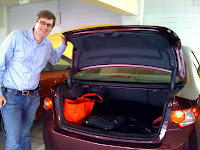 I had the pleasure of attending the Craigslist Foundation's Non-Profit Boot Camp again today with ol' pal David Serna. Standing in line for lunch with my 2 Stinky Fish sign safety-pinned to my back yielded one solicitation, though no offers for our beloved bottle of wine. Oh well. The lectures and workshops and exhibitors yielded some good insights about how to set up payments for my projects. Nice! It was cool to think that eventually this project will feed more than twice the number of people standing in line, patiently waiting for their food. Not bad! Nice to meet you all, Tarah and Megan and Darian and Emily and Scott and friends! Who knew that guacamole and margaritas went so well together? Or wood-fire pizza ovens and homemade pizzas? Or Starbucks gift cards and wine? Well, we successfully traded our gift bag of goodies for one wonderful bottle of wine, the Alpha | Omega 2005 Proprietary Red Wine. Sheryl and Jeff Miller were the proud recipients of our goodie bag, while your esteemed funky fisherman received not only their magnificent Cabernet Sauvignon / Merlot blend, but also a great day of friends, swimming, and Wham! music videos (don't ask). Thank you Jeff and Sheryl! Now it's your turn, crazy traders. Who's got something nice to trade for a sweet bottle of sour grapes? All in one cute gift bag. Said gift bag was quite the hot item, amongst other white elephant downers such as regifted novels and exotic concentrated fruit juices. But I deftly avoided Secret Santa Steals and landed Miss Ashley's generous gift. So, whaddya say? Who's got a hankering for some coffee? Taking advantage of a 4th of July stopover in L.A., our favorite T-shirt was traded with Miss Janet Tomiyama (of ConsumerMachine and diets don't work fame) for a hot 90's Edition Trivial Pursuit game (only gently used!). Love it! Let's go, trader joes and janes! Offer me an offer! The Brazilian marketing/cool hunter site UpdateOrDie featured 2 Stinky Fish on its blog of all things cool this week! Is that free publicity I smell? Oops - nevermind - that's my stinky socks. Thanks to UpdateOrDie for the shout out! Thanks to Rahel and Carol and our swift-swimming supermarket salmon, the 2 Stinky Fish and 5 "loaves" of bread arrived safe and stinky in Florianopolis, Brazil. 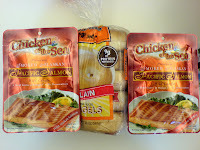 Ever the loyal friend of their ichthys brethren, our bread became stinky, too! How sweet is that!? Check out the video of the virtual trade here. Apologies for the resolution of my cell-phone-video-camera and poor editing - it's my first try! Thanks to all of you for your support! * The word honest is being used loosely. ** The first of the two customs forms filled out was filled out accurately, but it was the second customs form which made it to the Post Office. Our thoughts and prayers are with our 2 stinky fish, that they may find their new home quickly and free of creepy crawlies. Carol has mailed our first trade, the Fome29 T-shirt! It should arrive in the next 2 weeks! The anticipation and anxiety has us down to only three fingernails here! The games have begun! Well, we have a winner! 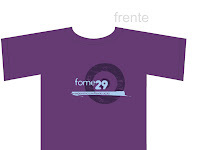 The Fome29 T-shirt won by a wide margin, thanks to an impressive blog campaign by Carol and Rahel in Brazil. Congratulations! So, now what? I've got two stinky fish and five loaves of bread here in San Francisco, and they have a T-shirt ready to go there in Brazil... How do we get the fish and bread in their hands? 1. Smuggle the goods into Brazil with a traveling friend, since shipping food products is illegal. 2. See if Rahel and Carol can find a way to get 2 stinky fish and 5 loaves of bread donated from some local stores? 3. Wait till Rahel and Carol come to visit the US to give them the 2 stinky fish and bread. Does anyone have any other crazy ideas? Instead of just choosing myself what I think is the best trade, I thought I'd leave it up to you all to vote on the best offer! I've tried to be fair in my descriptions and photos...apologies in advance to any of the offers that don't end up as pretty or as nicely described as they really are! So, without further oo-ooh-ca-choo, here they are! 2 Stinky Fish in Brazil! 2 Stinky Fish can swim fast! Thanks to Carol and Rahel in Brazil who have featured 2 Stinky Fish in their blog for fome29 [translation: hunger29], a project for Brazilian youth to "experience, reflect, and act" on issues of hunger during a 29-hour period of time, in hopes of raising awareness about hunger problems in Brazil and around the world. Great project, guys! Okay, peeps! The time has come! 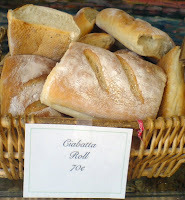 Two very fresh stinky fish and five very tasty ciabatta rolls are ready to be traded! (See actual photos above.) What are you willing to trade to start us off? All offer proposals will be gleefully considered! No offer is too small, none too crazy - just think about what you have that you think others would like! When you've got an idea (or two or three), just jot it in the comments below. Proposals will be accepted until Friday, May 16. This morning the City Church peeps had a scavenger hunt around North Beach in San Francisco, so I took the opportunity to scope out some Italian bakeries while my team searched for the price of a load of wash at Little Bubbles laundromat. I scored a find at the Italian French Bakery on Grant Street, where the lady behind the counter kindly allowed me to take a few photos of the ciabatta rolls. Chomp! So I stopped by to see Mr. Ken at the Fresh Meat Seafood Market in the Mission this afternoon, and he was mildly excited about donating two of his fine tilapia as our starting stinky (err, very fresh) fish. That means we only have 5 loaves of bread to go, then we can get trading! :) Thanks Mr. Ken! We won't let you down! In my Day 1 research, I came across this 20/20 segment on One Red Paperclip. Really remarkable and inspiring! Check it out. Jesus fed 5,000 with 2 fish and 5 loaves of bread. Kyle McDonald traded one red paper clip for a house. I figured, why not combine the two? Start with 2 fish and 5 loaves of bread, trade that for something else (less stinky, hopefully), trade that new thing for something else, and so on...until we trade for a meal for 5,000 people. Click the image or Participate link above to submit your offer. Sign Up to Receive Trade Alerts! Emails will ONLY be sent out when a trade is made. No spam will be sent, nor any boring emails!